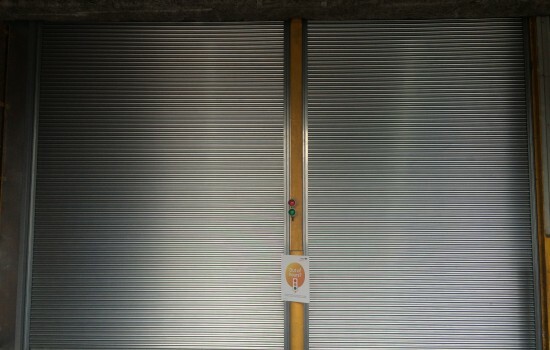 Abacus Shutters offers a wide range of steel security industrial roller shutters in London and Essex to provide an effective security solution for all types of industrial premises from new industrial units to factory extensions or refurbishments. 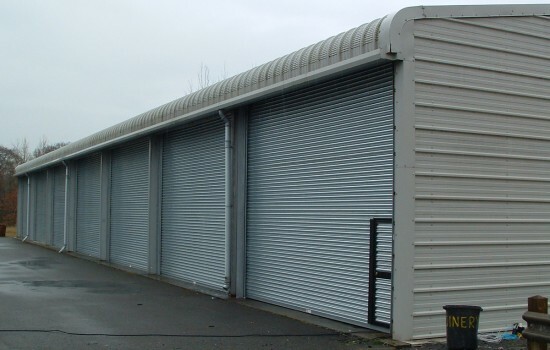 These manual hand chain and electric roller shutter systems in traditional single skin steel dome lath provide excellent security protection for industrial environments that are both strong and manageable in daily use. Please see below further information about insulated Secureflex roller shutters in London, Essex and the surrounding areas from Abacus Shutters. 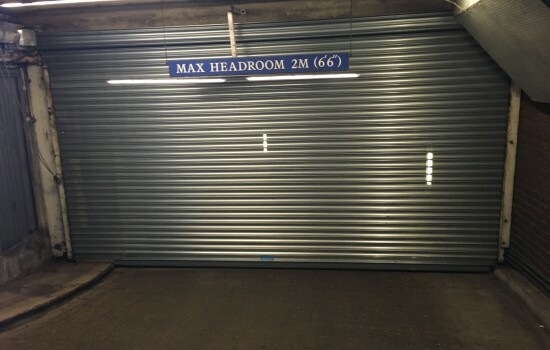 Constructed from 75mm x 18-20swg (1.1-0.9mm)curved interlocking galvanized single skin steel dome lath interlocked with either a nylon, steel or cast end lock system as standard and finished with a ‘T’ or ‘L’ section bottom rail. For openings up to 5m wide the barrel is constructed from 127mm-139mm diameter steel tube with helical counter balance spring(s), mounted on 25-40mm bright steel shaft, with mild steel bearing blocks at each end. Made from 3mm-10mm galvanized/mild steel and formed to suit shutter weight and box depending on its size. Constructed from 65mm-101mm x 3mm-5mm thick galvanized steel channel or 65mm-101mm galvanised steel wind guide channel section. These are bolted/welded to 75mm x 50mm or 100mm x 50mm galvanised/mild steel angle and run down either side of the shutter. The curtain and guides are both galvanized finish and the angles, barrel and end plates are galvanised or mild steel depending upon shutter size. A brush coat of primer paint will be used on all mild steel as standard. A polyester powder coating system is available using any standard colour to a RAL or BS 4800 number. By means of a manual haul chain, Safedrive direct drive motor or a chain drive geared motor (0.5 – 2 horsepower dependent on shutter size) both with emergency hand operation mechanism. A surface mounted open/close/stop push button control comes as standard. Electrical supply is either 240v, 1ph single phase or 415v 3ph neutral and earth for three phase. By means of a continuous galvanized hand chain which drives mild steel sprockets connected by a high speed roll chain. Wind lock guide channel with wind anchor system, wicket door, bottom draught strip, heavy-duty weather seal, battery backup units, key switches, key pads, proximity reader, remote control, safety edge and photo cells can all be fitted as added extras. 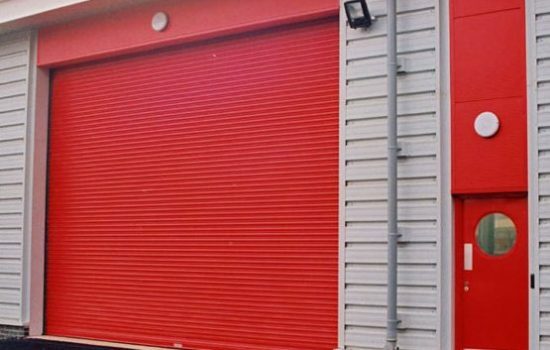 If you require more information about our industrial roller shutters in Essex and London, please call us today on 0845 644 1225.